Bose, a brand known for its impeccable reputation when it comes to premium quality audio systems. The company has released one more high-end 5.1 surround sound system to market. The latest Bose SoundTouch 520 speaker system sports very compact and sleek design but a powerful specification. This premium quality surround sound system comes with cutting-edge specifications and also competitively priced by the company. Will this high-end model uphold the legacy of Bose‘s built-quality and performance? Let’s explore in our Bose SoundTouch 520 Review. True surround sound experience with five compact, yet power full Series II speakers. Wireless control console and bass module. Four HDMI inputs, Bluetooth and Wi-Fi connectivity. Steam music from Bluetooth enabled devices and also from internet radio stations. Universal remote control and SoundTouch app for smartphone controls. This 5.1 channel system includes five small speakers, a wireless bass module, a wireless adaptor and a sleek wireless control console. Five Direct/Reflective Series II speakers are compact in design but powerful enough to fill a room with loud and high fidelity sound. The Acoustimass bass module produces deep and penetrating bass. It is ease to move the bass module anywhere and enhance your audio experience. The compact wireless control console ensures proper sound staging. Surround sound effect with this 5.1 channel speaker system is astounding. Thanks to wireless technology, you could also use them in multiple rooms. The Bose SoundTouch 520 comes with ADAPTiQ audio calibration system which adjusts the audio performance to match your room’s acoustics. Coming to connectivity options, the control console has four HDMI inputs, co-axial and optical port. Apart from wireless music streaming from smartphones and other Bluetooth enables devises, this SoundTouch system also supports online radio and music streaming services. Using existing home WiFi network you’ll be able to tune to online music services like Pandora and Spotify. A programmable universal remote control is also provided with the product, which eliminates need of multiple remotes for TV and A/V systems. Built-quality of Bose products are unquestionable, the SoundTouch 520 too has superior finish and premium looking design. 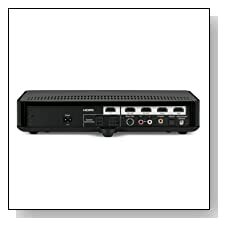 Overall, this latest 5.1 channel surround sound system from the most trusted brand has got everything to beat competition. The product has high-end features, prestigious brand name and best surround sound experience which make it a worth considering speaker system, even at such high price. If the price tag doesn’t deter you, this premium quality home theater system won’t be a bad decision. 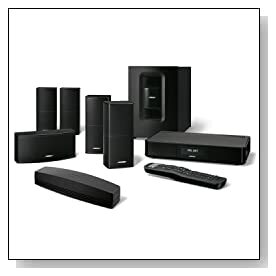 Click Here to Read User Reviews..
Are the satellite speakers in this system wireless or have wireless capability? The satellite speakers are wired. You’ll get necessary cables inside the box, 20 feet cable for front and 50 feet cable for rear speakers. You can also buy 80 feet cables from Bose. The sub is wireless and you can place it anywhere within 30 feet from the control console. If wiring is not an option for you, check out SoundTouch 130 model in our HT review section. If I want to listen to music can I switch let say to a stereo mode so that just the front speaker and the subwoofer are active? @Thomas, This HT system allows you to adjust (lower up to zero) rear speaker volume, if you don’t want to switch off the rear speakers totally. In System Menu, Selection number nine (Sound Level Controls) you can find rear speaker volume controls. This is a 5.1 channels system, supports five ‘wired’ Series II speakers and one wireless Bass module that are included in the box. The SoundTouch 520 system is designed for an immersive surround sound experience, though these speakers can be split in to 3.1 and 2 channels for multiple rooms. Thanks, stay connected for news on latest products launches. Am I correct in assuming the 520 has a video or hdmi out to the TV? Does the Foxtel plug into the 520 or the TV?